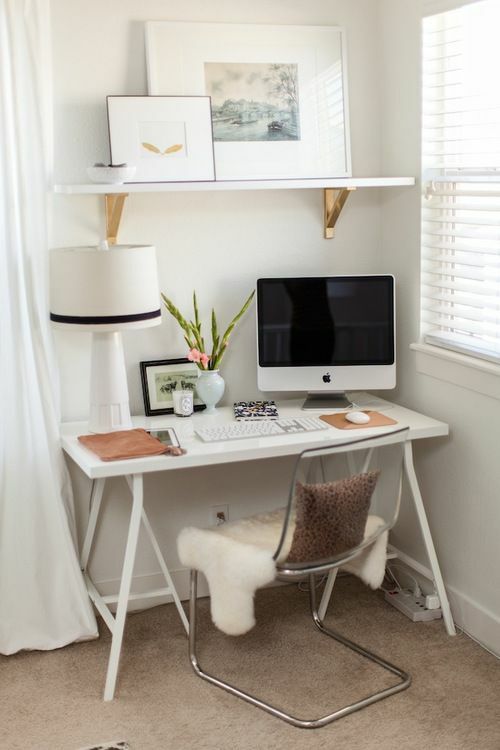 While many homeowners tend to obsess over every detail in their living rooms, bedrooms and kitchens, it’s easy to neglect the den or home office. More often than not, it’s tucked away in a corner where guests won’t see it, causing it to get overlooked during the decor process. 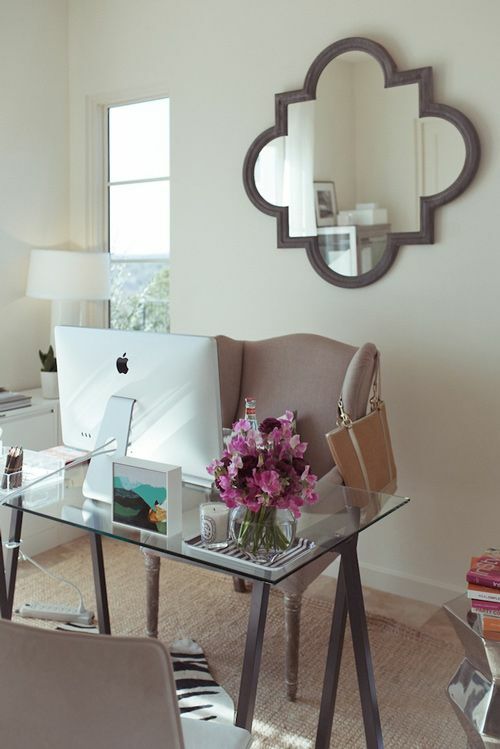 Lara Cupido, Project Designer at LUX Design, said it’s crucial to choose the right spot for your home office. She explained that selecting a space that’s pleasant and cozy to work in is paramount if you’re planning on spending long periods of time there. 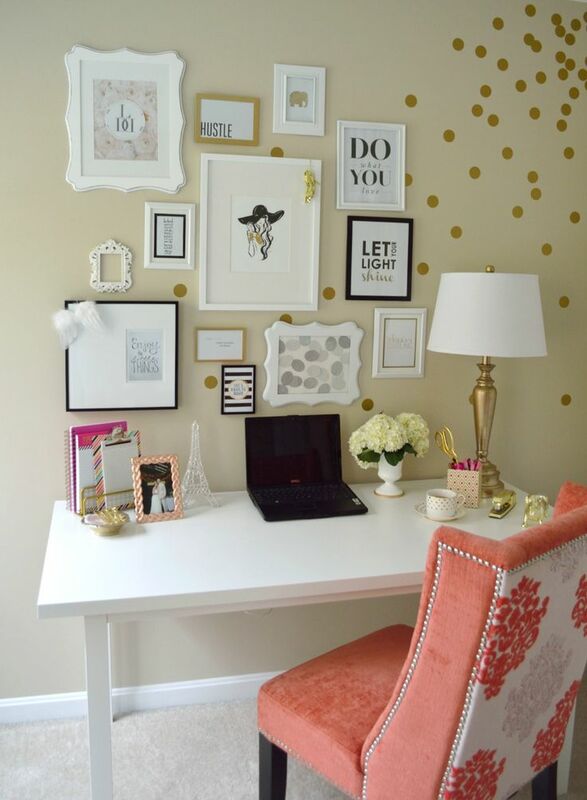 Cupido also suggested incorporating subtle pops of color and texture into a home office. She recommended designing a cohesive, all-white space with jaunty accent pieces to break up the look and create a cheerful atmosphere. 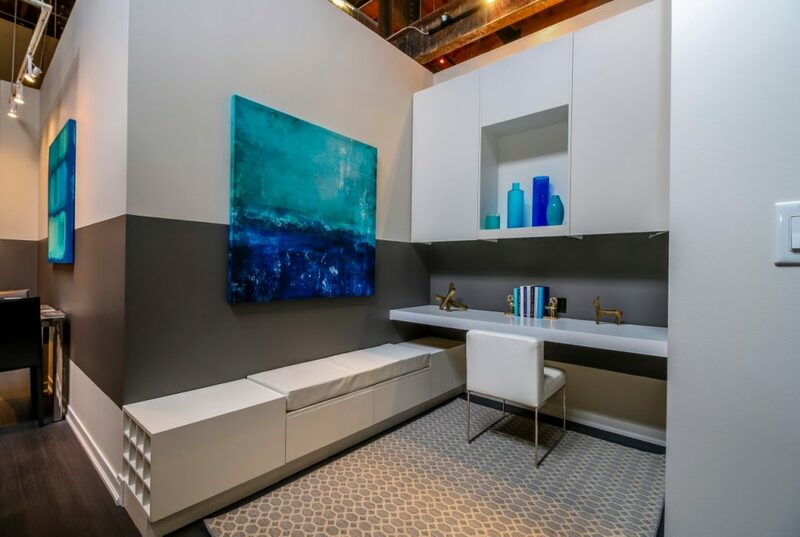 While Cupido advocated for pops of color, she said that they should be balanced out by clean, minimalist spaces throughout. “It’s best to have one shelf with boxes and one with decorative items to have that breathing area visually. I think that when you’re clean and organized, you have more of a clear mind to work,” she explained. To dial down visual noise even more, Cupido suggested maintaining a consistent look and feel using light colors. Storage solutions are also key for maintaining a clean, organized structure for the space. “You don’t want a big bulky desk with dark woods. Light woods or white will help to keep it light and airy. Drawers are also very helpful just to keep those smaller items off the surfaces,” she advised. Ryan Martin, Principal Designer at Croma Design Inc., said that a home office should be infused with personal elements like photos or images that represent your ultimate goals like a (gasp!) real-life Pinterest board. Martin also emphasized the importance of purchasing a comfortable chair for your home office to encourage productivity and good posture. He and the team at Croma have a few favourites that they share with their clients. Martin also suggested that a home office should be just that: homey. He explained that balancing necessary items like staplers with decorative objects is an easy way to make the room both functional and intimate. 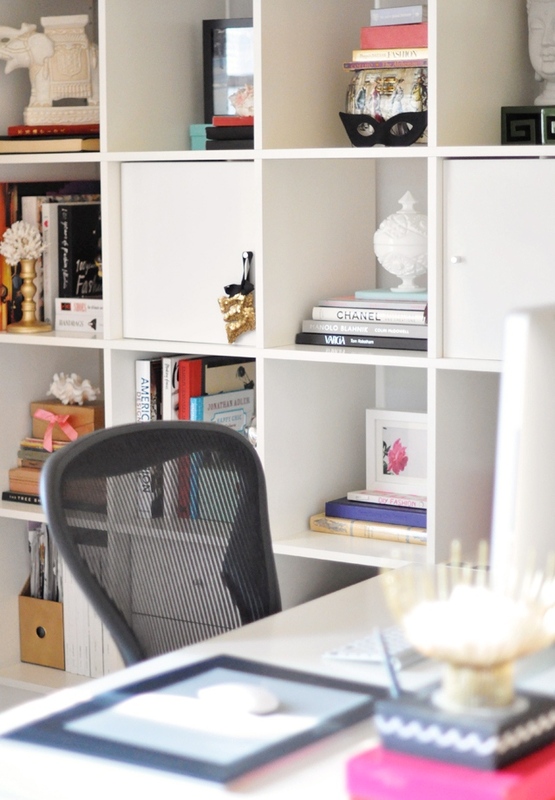 “The main point is to not pretend that your home office is a commercial office, so here you’re not after something that’s hard-lined and brightly-lit. Go for something that’s more pleasant and more cozy by mixing keepsakes like coffee table books or terrariums with the utilitarian items you need on your desk, and it all becomes sort of artful,” he said. 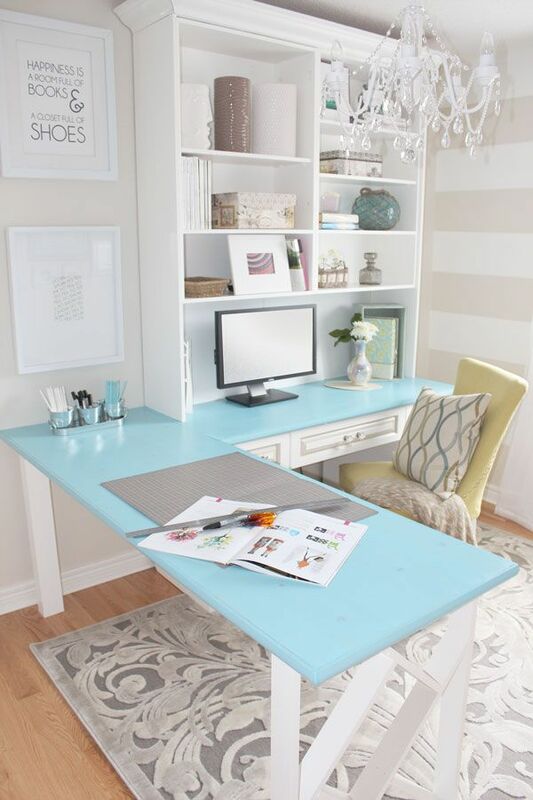 Often, home offices are relegated to small, cramped rooms like dens or even closets. Joanne Chan, Principal Designer at SDI Interior Design and Project Coordination, had a few tricks up her sleeve for making a small space feel larger. “Sometimes, we have clients that have a space that doesn’t get much daylight and it looks like a dungeon, so to remedy that, we mount decorative glass panels that light up or have reflective surfaces on the wall. It makes it feel bigger and brighter because it’s sort of like a pretend window,” she explained. Chan also suggested using multi-purpose furniture for small home offices. She said they can be especially useful for homeowners looking to create a workspace that doubles as a playroom for kids. “A lot of products are coming out like close-away desks. Imagine a murphy bed but a desk. Resource Furniture does great hideaway desks,” she said.